Banana production for the fourth quarter of 2018 was accounted at 2.42 million metric tons, increased by 0.6 percent from the previous year’s level of 2.41 million metric tons. Davao Region had the highest production of 904.13 thousand metric tons or 37.3 percent of the total banana production. Northern Mindanao followed with 492.25 thousand metric tons or 20.3 percent, while SOCCSKSARGEN contributed 335.11 thousand metric tons or 13.8 percent. 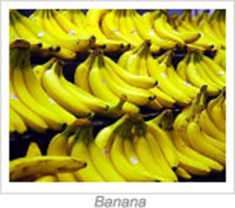 Of the total banana production, Cavendish variety had the highest share during the period at 51.9 percent. Saba variety followed with 27.6 percent while Lakatan variety together with other variety comprised the remaining share of 20.5 percent.